I’d been a gymnast for 14 years before quitting a few weeks ago. I’m 16, 5’0 tall, and a junior in high school. I love to run in my free time, and unlike gymnastics, running is something I can do for the rest of my life. My coach always focused on sprints, like running the 400 under 1 minute (mainly over the summer) and he’d never make us run over 2ish miles since he says gymnastics is anaerobic sport and running to far would mess up our fast muscle twitch fibers or something. I really want to run distance, not sprints, but I’m not sure how to get myself to that point. Most miles I run are 7 minutes; my best is just under 7. I feel like that’s really slow compared to most cross country runners who can keep up that pace for miles. All I’ve ever run is 3-4 miles, when I was in gymnastics and the past few weeks that have gone by that I haven’t been in it. I have a lot of muscle, mostly upper body strength that I will lose over time (not all of it, but I’m not going to be on my hands as much as I was on my feet anymore). I guess my question is, how can I start to train to run distance, for cross country season, instead of the short “bursts” of energy I’ve always had to train with? How many miles should I start to run every day? How fast should each mile be? It's hard to tell you exactly what type of mileage to start off with. The amount of mileage you can take and the increases you can do is something very personal. Read my increasing mileage safely-page for more information. In the beginning I would advise you to focus on an easy pace. This is also known as conversational pace. So the pace at which you'd be able to talk to someone if you were running with them. So you can pant a little, but not too much. It needs to be an enjoyable, relaxed pace. When you stop your workout you need to almost feel sorry that your workout is over already. You need to have the idea that you could have gone for a little while longer. That will help you best as you are establishing your running base. I would also recommend reading my base running-page. 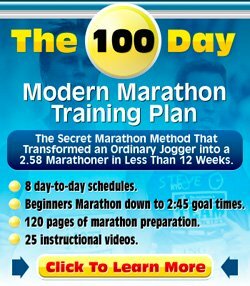 As a third link I would suggest to check out the running training-section. There is quite some information in there about the different types of running training you can do, including some specific advice for cross country running. I hope this helps and wish you best of luck with the transition from gymnast to runner.